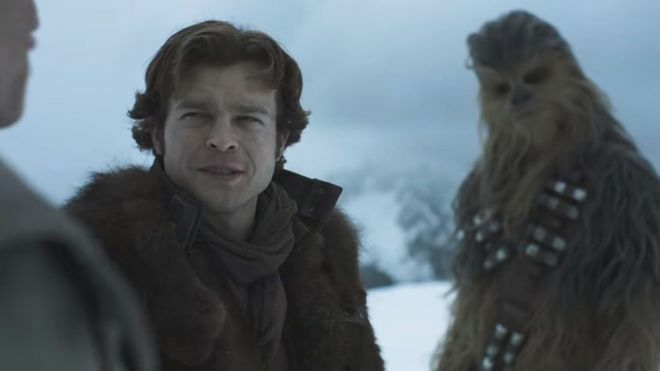 The second trailer for Solo: A Star Wars Story, the latest film in the expanded Star Wars cinematic universe, has burst out of hyperspace and onto the Internet. Set before the events of Episode IV Solo will tell the origin of everyone’s favourite scruffy nerf herder Han Solo and his ragtag bunch of friends and frienemies, including Chewbacca and Lando Calrissian. Slipping on the iconic vest of the infamous Corellian smuggler is Alden Ehrenreich, who plays a younger version of the character which made Harrison Ford a household name. 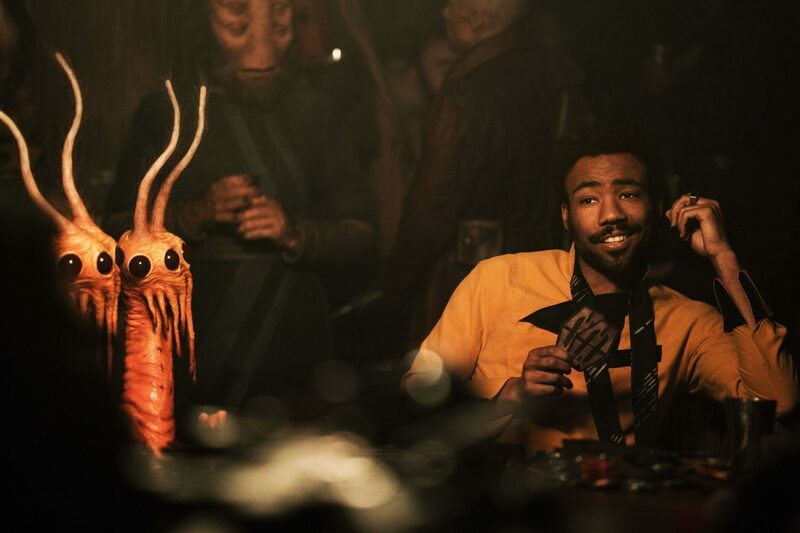 Joining Ehrenreich on the Millenium Falcon, which will also feature in the film, are Donald Glover and Joonas Suotamo as Lando and Chewie respectively, along with Emilia Clarke as Qi’ra a new character who grew up with Han. Woody Harrelson also stars as Tobias Beckett, a criminal and Han’s mentor who’s looking to put together a crew to pull off a job. Solo: A Star Wars Story is the second of the Star Wars anthology film after Rogue One to be released and has been in development since at least 2013, however, the production’s been a bit of a bumpy ride. It began when the directors Disney had hired for the film, The Lego Movie’s Phil Lord and Chris Miller, departed the film following ‘creative differences’ with producer Kathleen Kennedy. Studio executives brought in Ron Howard as a replacement to steady the ship, but rumours continued to build that everything was not well in a galaxy far, far, away. One of the first troubling rumours was that Ehrenreich, as reported by The Hollywood Reporter, was struggling with the part of Han Solo and that the studio had brought in an acting coach to refine his performance. Vulture later claimed they’d confirmed the rumours but downplayed allegations that Ehrenreich simply wasn’t good enough, instead they claim producers wanted ‘something very specific’. That specific thing? They wanted him to copy Ford’s portrayal and over time Ehrenreich relaxed into the role. Meanwhile, a certain section of the fanbase has become concerned that Solo may be giving Han a backstory we just don’t need to know about. Afterall Han’s story really begins in A New Hope when he agrees to take, Obi-Wan Kenobi, Luke Skywalker and their droid companions to Alderaan. Regardless of some misgivings, the film’s sure to be a massive success for LucasFilm and it was announced that the film will be shown out of competition at Cannes on 15 May. For those of us not lucky enough to go to Cannes we’ll have to wait until Solo opens in the UK on May 24.